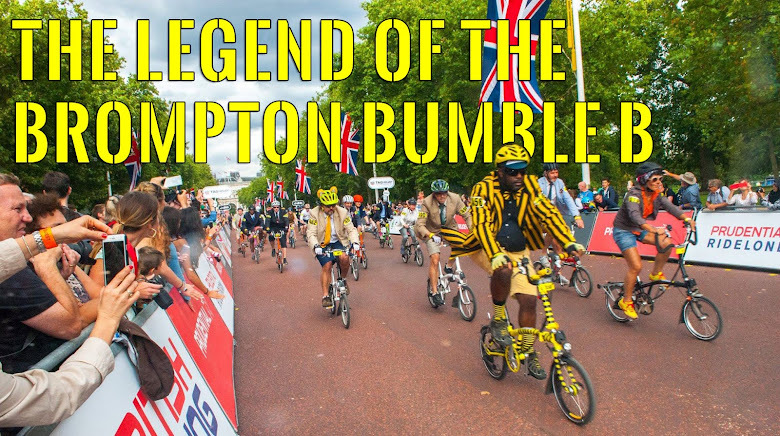 We have been looking forward to this day as this will be the first ride that BumbleB will be in full working order 100% legendary after his wheel failure at the last ride. 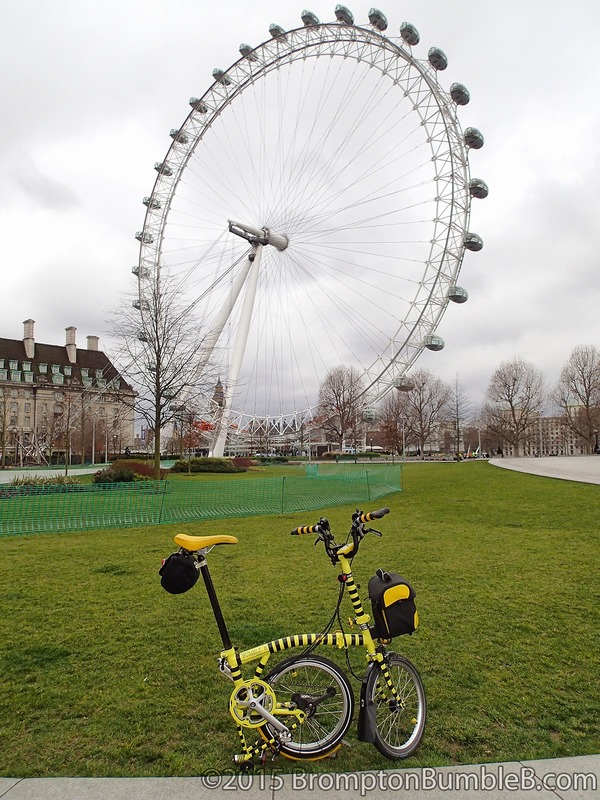 As always a fueled up with porridge with a little bit of nuttela and even half a banana then just riding to the station to the meeting point at the London Eye. Met up with the rest of the LBC gang and I have to say it was a great feeling to be back and in full force. 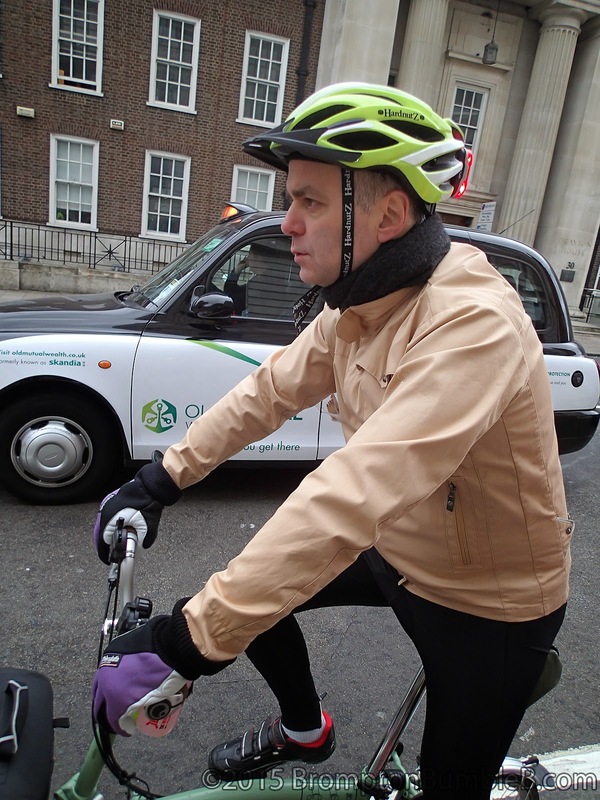 After a short briefing from David we set off for the hills of North London. 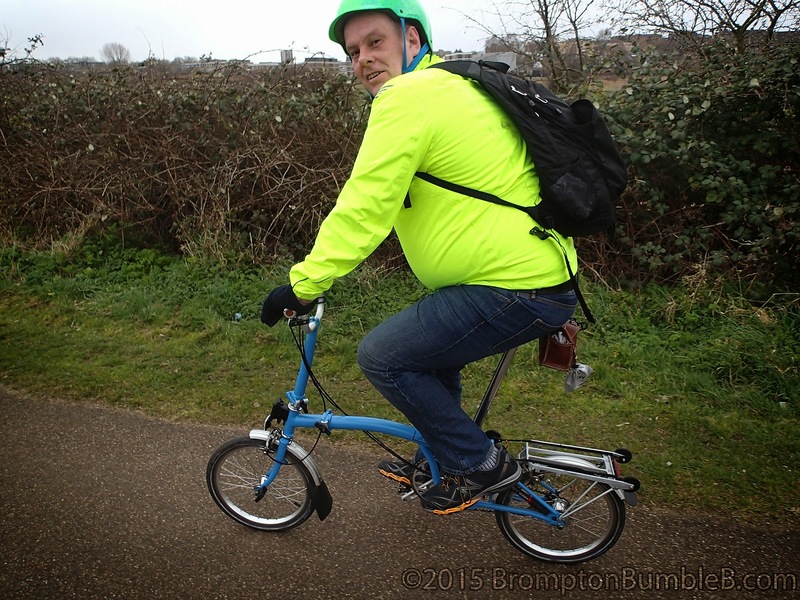 As always heading though London with our Brompton peloton is an awesome sight. John looking serious for the hills. 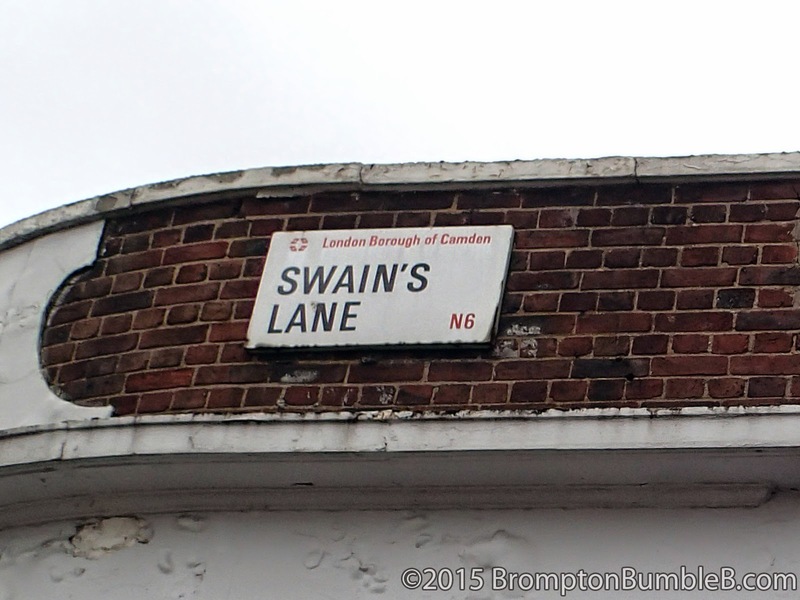 Our first major hill was Swains Lane. 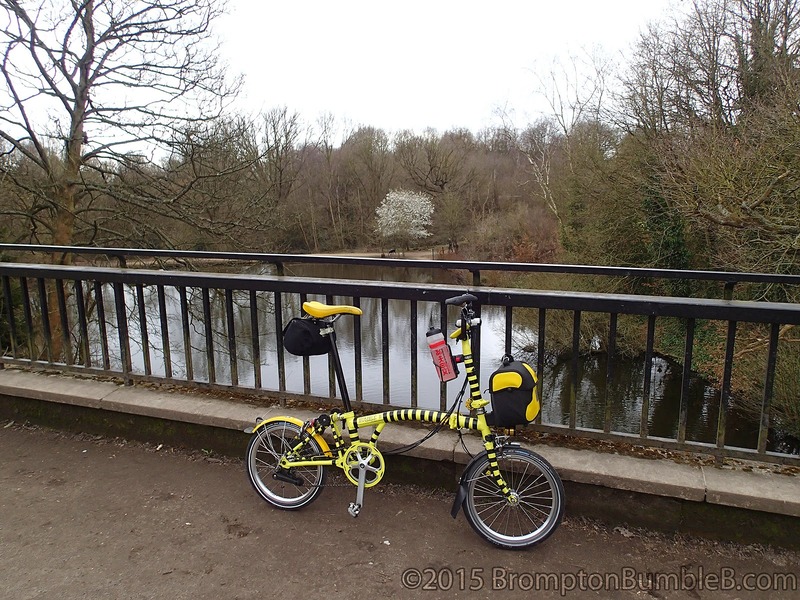 I took my time with this one as its my first ever ride up it. At first its not to bad, I could focus on my cadence and breathing. From what I understand the gradient starts around 12% for most of it but then the last third of the climb the gradient increases to 18% which is pretty damn tough and I have to say I had to get off and walk at this point. Not too bad for my first go up this famous cycling hill climb. 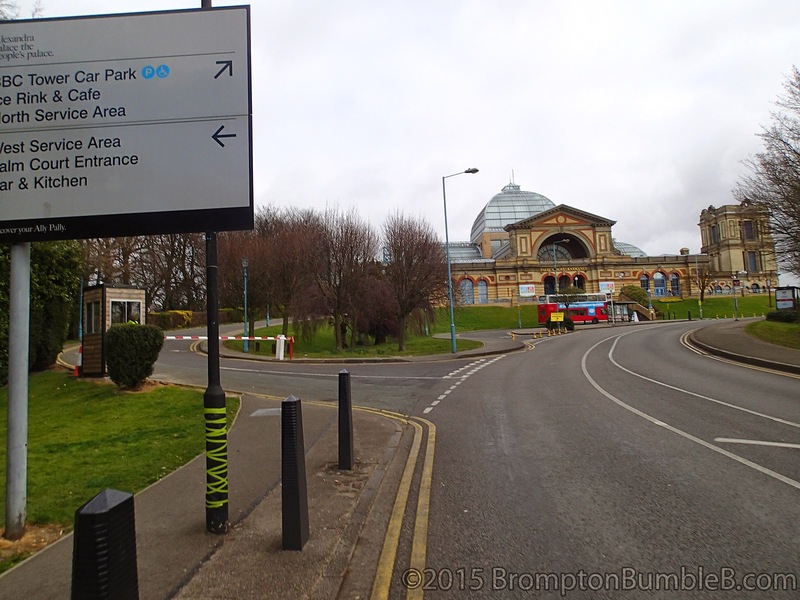 Next up was the climb leading up to Alexander Palace Way. I've been up this hill a few times before but this time we came up the opposite side to what I have done before as it didn't feel as extreme. 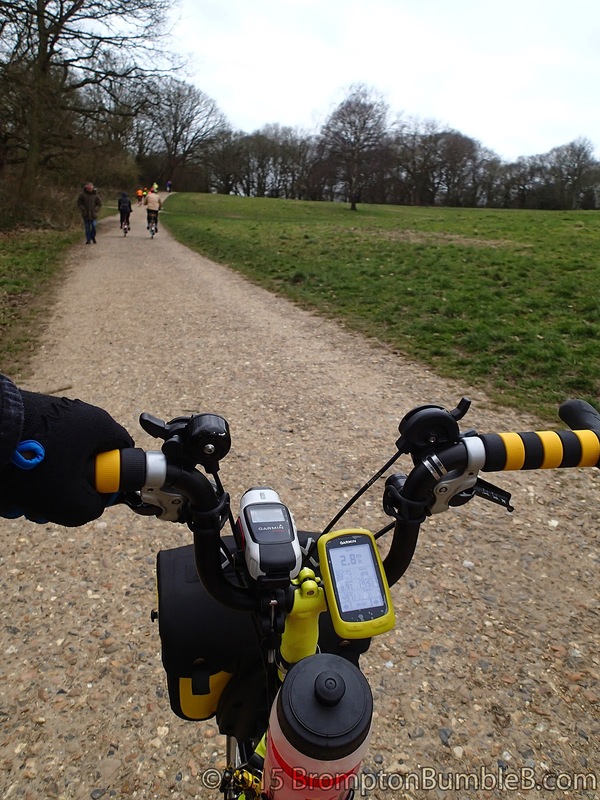 That was the last of the hills, now it was time to head back south to the Olympic Park. 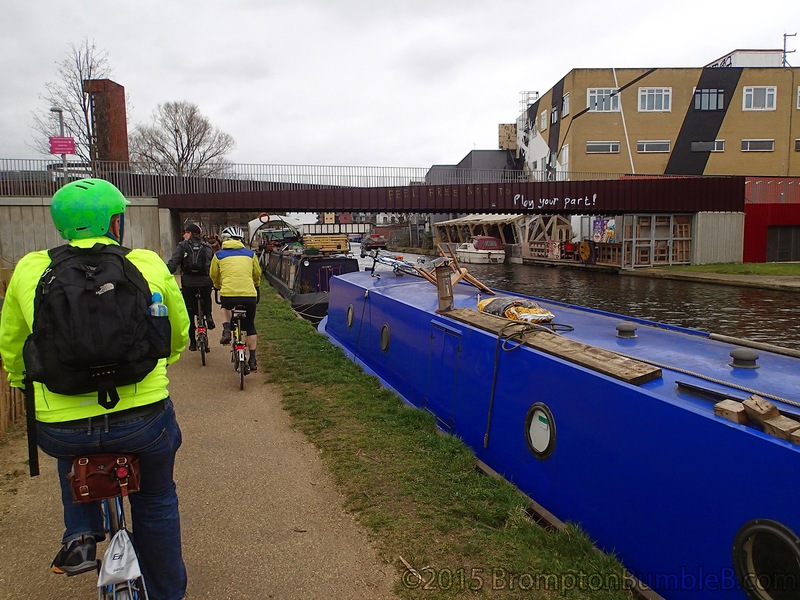 This is a route is familiar with as we went along The Regents Canal. As we entered the Olympic Park we stopped off at a nice lunch spot Timber Lodge Cafe. Boy I really needed it as I was feeling pretty hungry. I had a egg roll thing where I wish I hadn't. I've eaten here before and the food as been pretty decent but this time the bread was tough and the Cheese cake was even worse. 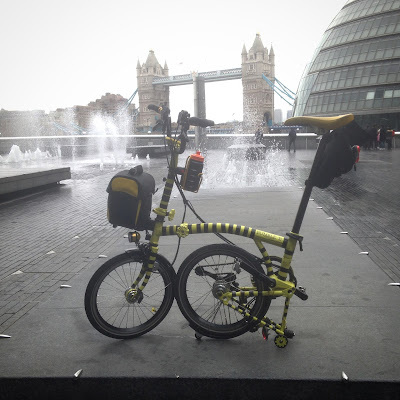 This is where I said my goodbyes to the rest of the LBC gang as they where heading back to the London Eye, but I was pretty close to home and was starting to feel abit cold. 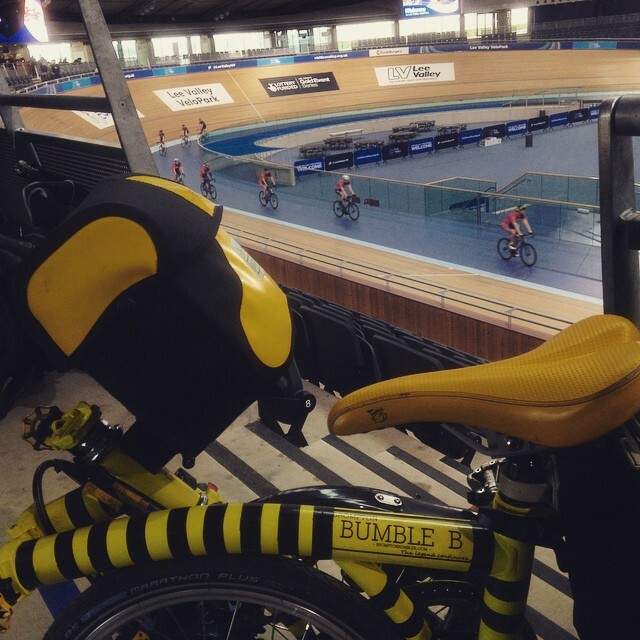 I was hanging around outside the Velodrome when I heard someone calling out BumbleB. 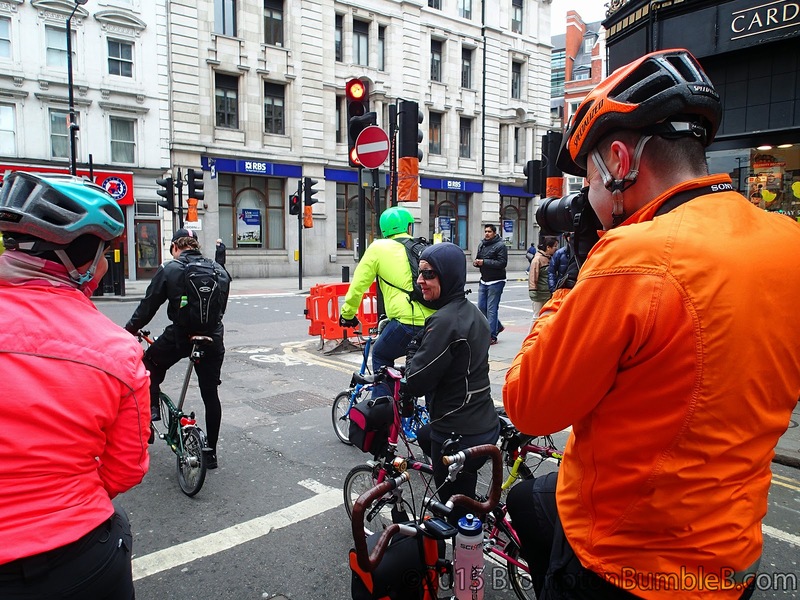 I wasn't exactly sure who it was til I turned and saw the iBikeLDN gang coming into view. I had almost forgot there was a ride today, Villains & Rascals Ride. 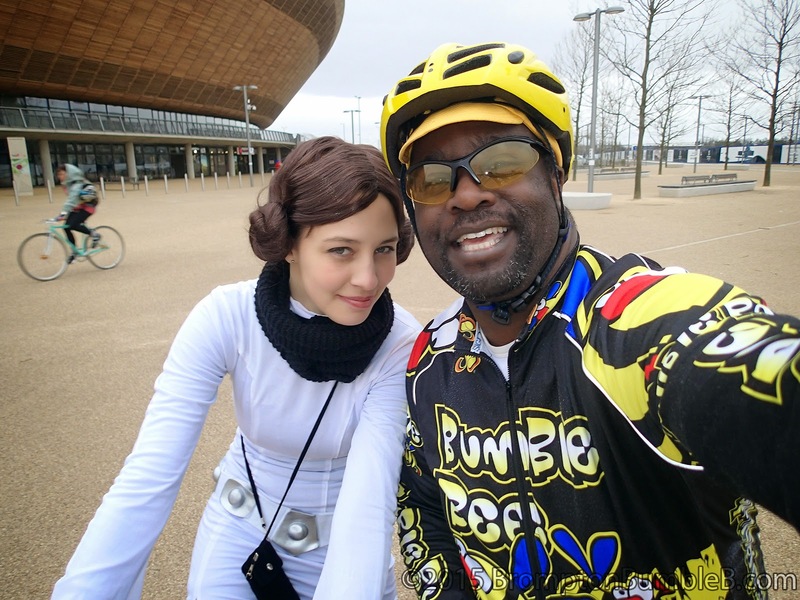 Meeting up with a view of my friends, we went inside to check out the Velodrome itself. Was pretty cool inside and I have to say I need to go on the road track outside at some point for training. 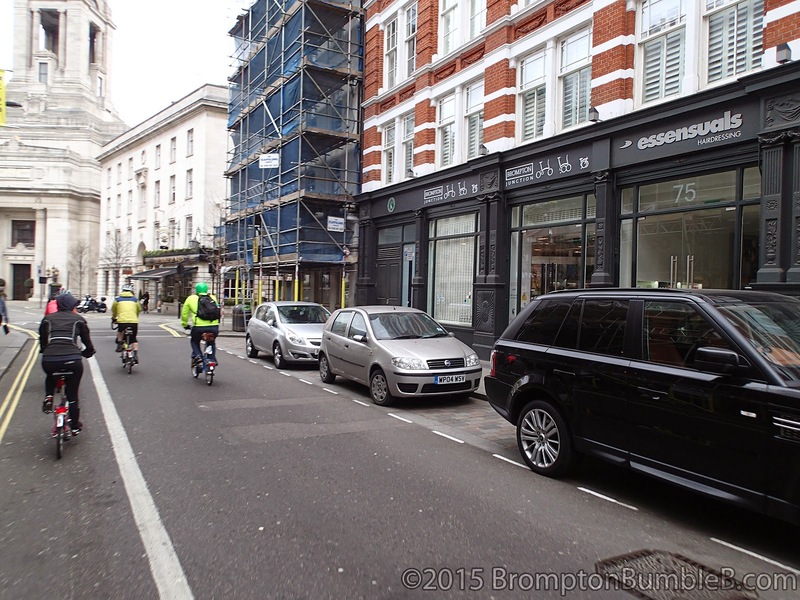 A good return ride for the legend, even with the hills. I expected to be alittle more unfit but I think I did half decent on the hills. Just need to find some hills closer to home that I can practice on but we'll get there. 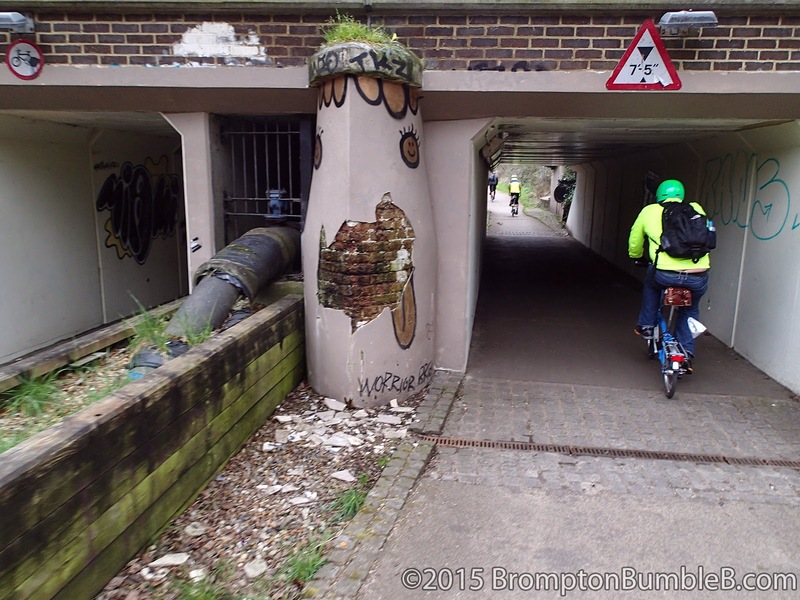 As ever, I'm impressed with your dedication in cultivating your hill-climbing abilities! 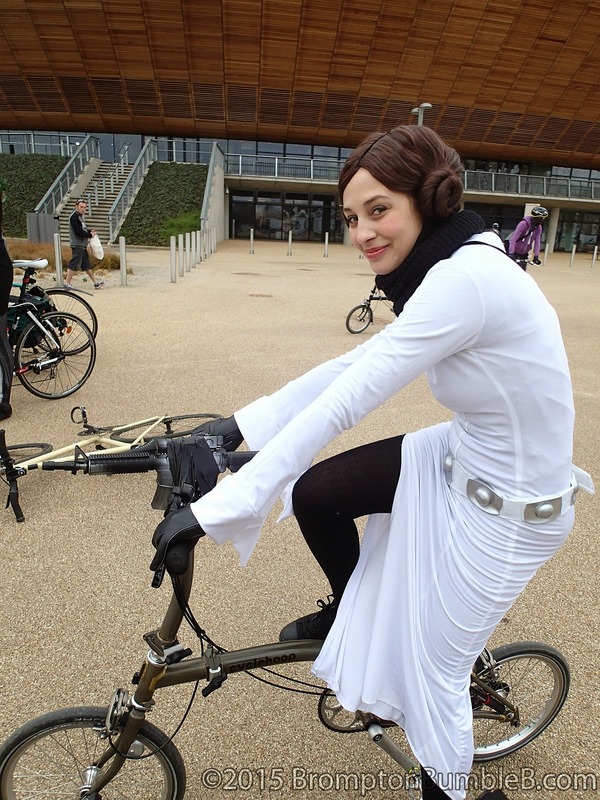 Also, you meet the interesting people on your rides: Princess Leia on a Brompton! Who knew?! ?